Ajax Amsterdam came within one goal of winning the Champions League Group E. But in the wild shootout at the Amsterdam Arena Ajax ultimately dropped two points in a wild 3-3 draw against Bayern that saw the Germans win the group thanks to the better head-to-head. First place does not always guarantee a more favourable draw in the Champions League round of 16, in fact, Bayern’s opponent Liverpool faced Ajax’s opponent Real Madrid in the final of this competition last season, but in Real Madrid, Ajax landed possibly the most difficult teams from all the seeded teams. On top of that, the game against Bayern was also the Ajax season in a nutshell. Experience the Champions League live! Book your European football travel now by visiting Nickes.com! The Amsterdammers have been, after all, inconsistent all year, just like in the back and forward game against Bayern in December. For example, Ajax were hammered 2-6 against archrivals Feyenoord two weeks ago, then followed that result up with a 6-0 victory over Venlo only to lose 1-0 to Almelo this weekend. “This is unbelievable,” defender and captain Matthijs de Ligt told the media. “On Wednesday we face something that many of us have looked forward to for a long time. We will have to present ourselves differently. Everyone knows that,” de Ligt added. Head coach Erik ten Hag, in particular, has been under criticism as Ajax are now six points behind league leaders PSV, perhaps a Champions League miracle against Real Madrid could alleviate some of that criticism. But that will not be easy. Real, in fact, have been much improved since making the switch from Julen Lopetegui to Santiago Solari. On Saturday Real won the city derby against Atlético Madrid 3-1. “That was our best game since last December, we always fight for every title, that is historic. We stand on the ground with both legs on the ground and will keep working hard,” Solari said euphorically after the Atlético match. With that result, Real have closed the gap to Barcelona to just six points. But the Champions League is always the competition Real defines itself with. “We are the favourites [against Ajax]. That is underlined by our history, which is more important than the daily form,” Solari said about the game on Wednesday. Indeed anything but a victory by Real Madrid will be a major surprise on Wednesday. 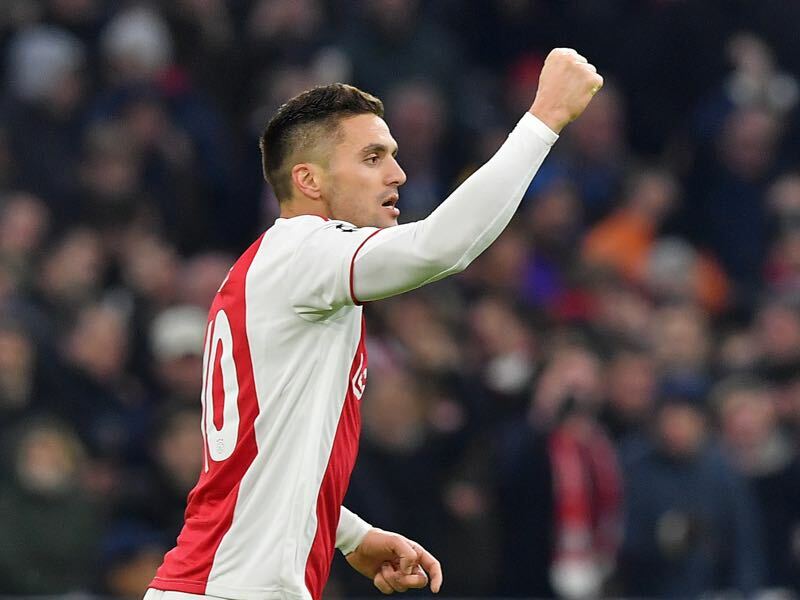 Dušan Tadić was a key player for Ajax against Bayern München. Erik ten Hag had deligated the Serbian winger to the middle of the park as part of a three-man attack, sacrificing a true striker in the form of Klaas-Jan Huntelaar. With three dynamic forwards, Ajax caused significant problems to Bayern’s backline, with Tadić scoring twice, and ten Hag hopes to repeat the trick against Real Madrid with Tadić once again leading the frontline. Slowly but surely super talent Vinícius Junior is arriving at the Bernabeu. 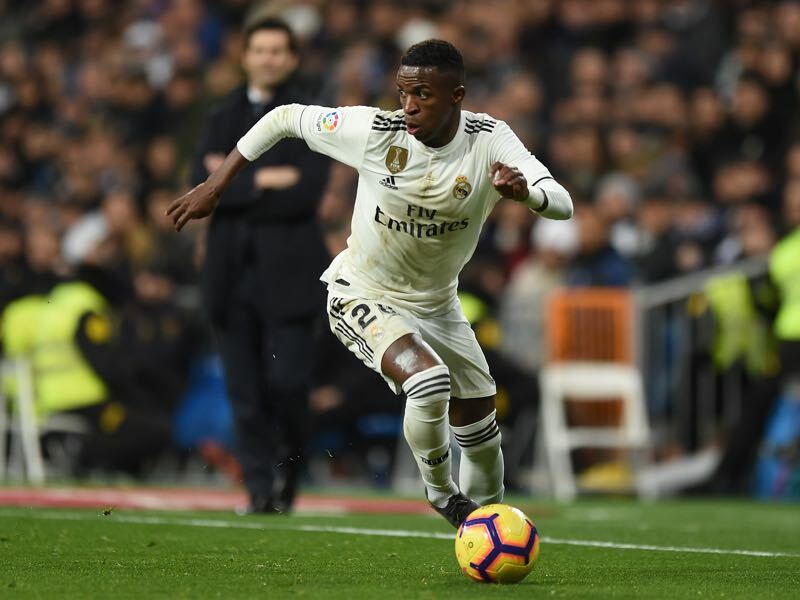 The 18-year-old talented winger was signed for €61 million from Flamengo last summer and at first, mostly utilised in Real’s second side Segunda Division B (third division) where he scored four goals in five games. Under Solari, he has now seen more regular first-team minutes and has featured in the last eight games in a row for Real Madrid’s first team (one goal). 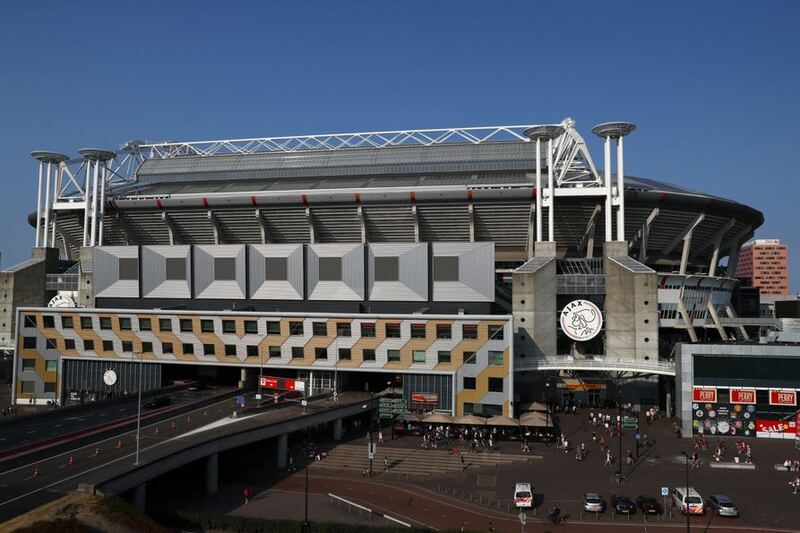 Ajax must overcome the weight of recent history as they take on holders Real Madrid bidding to reach the UEFA Champions League quarter-finals for the first time in 16 years. 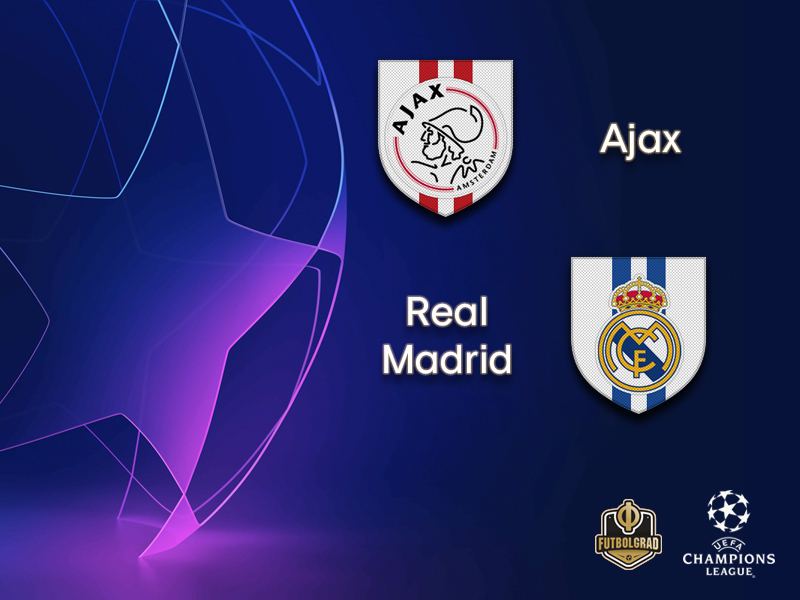 The teams have met 12 times in UEFA competition – all in the European Cup – Real Madrid winning seven and Ajax four with only one draw, 1-1 in the first encounter in Amsterdam in the 1967/68 European Cup first round first leg. Madrid won the second leg 2-1 in Spain to progress. Madrid have dominated recent contests between the sides, beating Ajax home and away in the group stage in 2010/11, 2011/12 and 2012/13. Their last trip to Amsterdam brought a 4-1 success in October 2012 – Madrid won by the same scoreline at the Santiago Bernabéu two months later – making it 11 goals in their last three visits to Ajax. Real Madrid have continued their record of appearing in the UEFA Champions League round of 16 every year since its introduction in 2003/04 – and have not lost a tie at this juncture in nine years.